US citizens do not need a visa for tourist or business travel to this country. 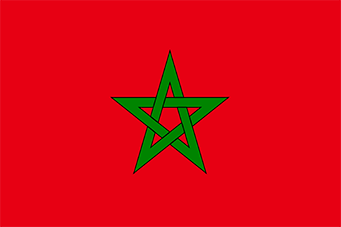 Any US citizen who wishes to travel to Morocco for any purpose other than tourism or business negotiations (e.g. work, study, adoption, immigration, or stays longer than stipulated in the entry requirements) should contact our office. 1) Valid passport , signed, with at least 6 months validity remaining and 1 blank visa page. 3) Please send 2 recent professional passport-type photographs with a white background. 5) Please send a copy of your round trip airline tickets, or itinerary or e-ticket, or letter of confirmation from a travel agent. The itinerary must show the applicant’s name, date of arrival and departure from the country, and flight information. The Embassy does not recommend purchasing your ticket prior to a visa being issued. 6) A copy of your hotel confirmation or notarized invitation from your host in Morocco.